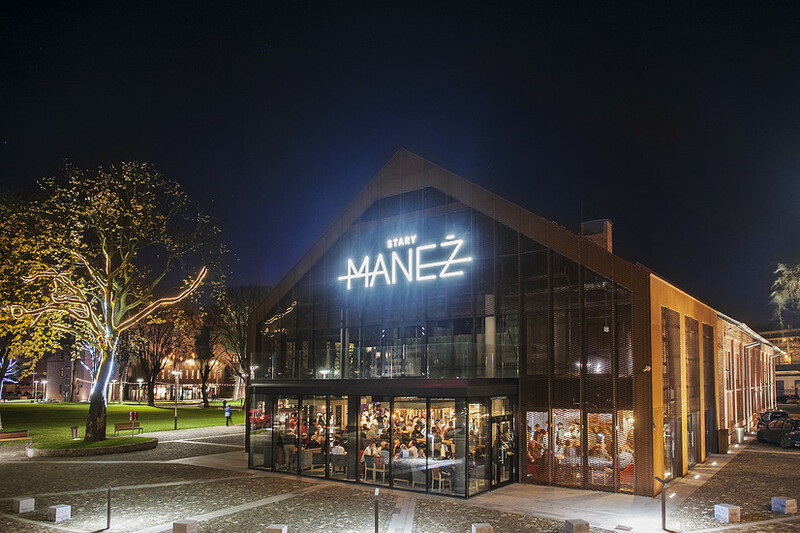 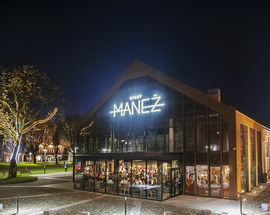 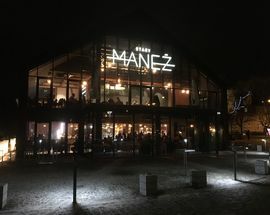 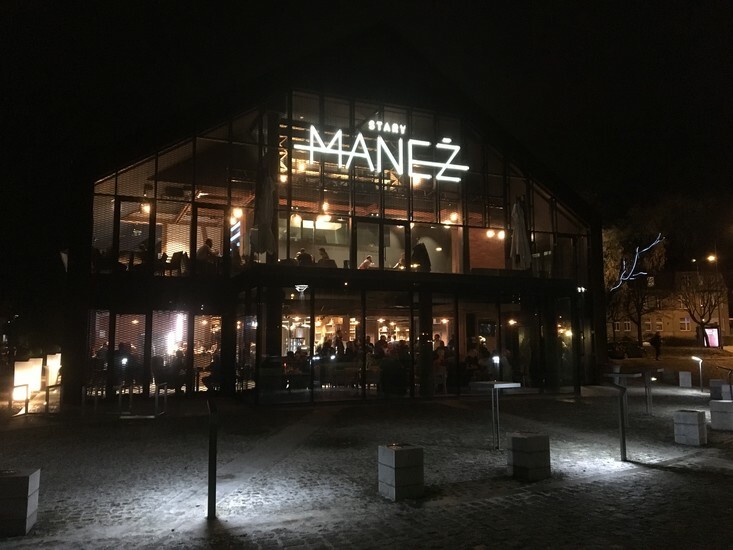 While your main reason for visiting Stary Maneż on the Garnizon complex will be to see a performance in the main hall, it’s not the only excuse. 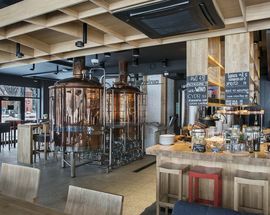 The ground floor bar/restaurant offers an eclectic menu of tapas and snacks as well as a concise choice of starters, salads and mains including ribs in beer and honey and seafood curry. 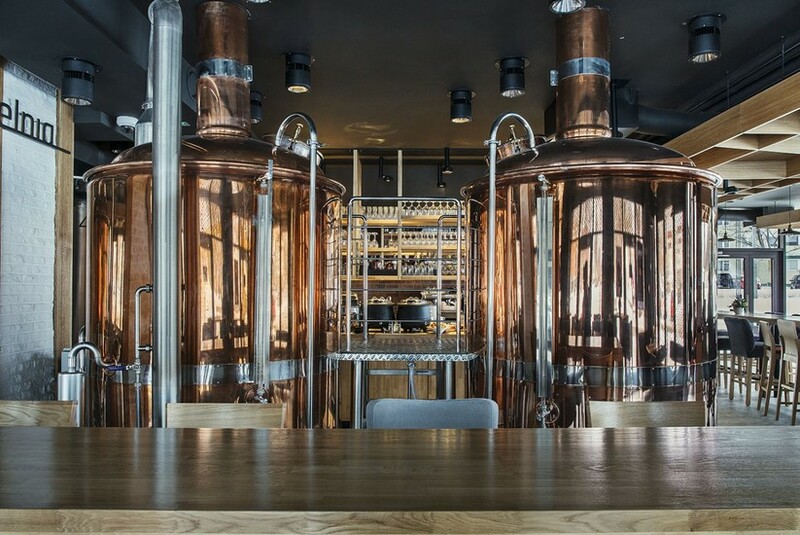 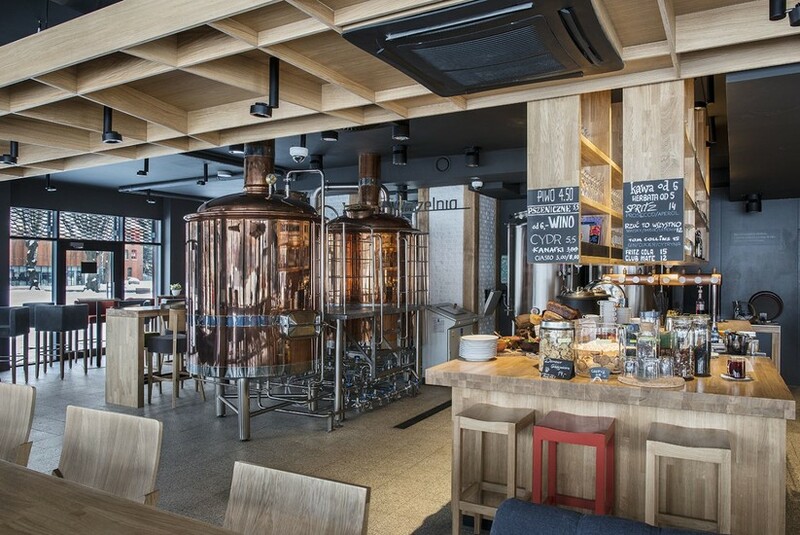 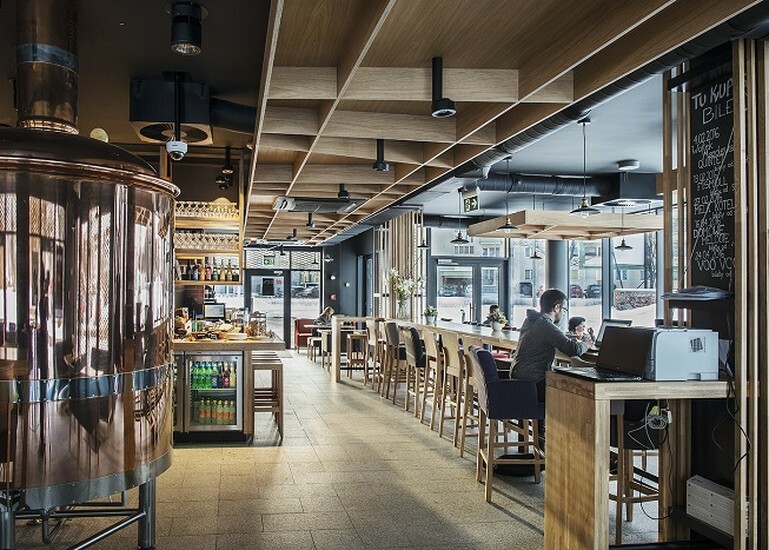 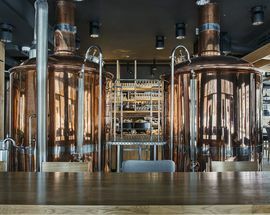 They also have, as you’ll immediately notice from the large brass vats, their own beer called Vrest, which is made using German hops and named using a play on an earlier name for the Wrzeszcz district – Wrzos meaning heather. 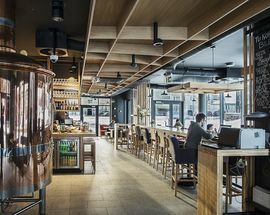 The light and dark are both pretty good by own-brew standards and pair up well with the tapas to provide some sustenance before and after a concert next door.